Hide deals from seller "Eliot's Complete Auto Repair Shop "
Limit 1 per person and 1 per transaction. Valid on a standard oil change, filter change, tire rotation, brake inspection and 57-point inspection. Valid for vehicles model-year 2000 or newer. Promotional value expires 365 days after purchase. 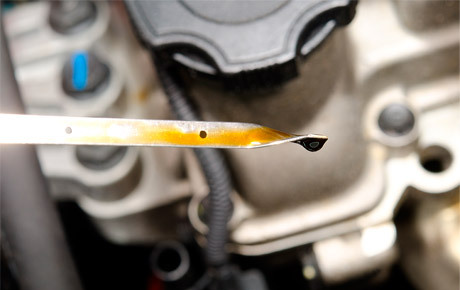 Rev up your engines and use this deal for 50% off an oil change and tire rotation at Eliot’s Complete Auto Repair Shop in North Center ($66 value). This standard maintenance service also includes a filter change, brake inspection and Eliot’s exclusive 57-point inspection. Eliot Silverman developed a passion for auto repair as a child which inspired him to open his own shop more than 26 years ago. Today, he and his staff continue to give customers high-quality repairs and world-class service. These skilled mechanics pride themselves on honest, efficient and professional service at reasonable prices. Start your engine with this offer from Eliot’s Complete Auto Repair Shop. An auto repair shop that has been serving North Center for more than 26 years.